If you’re serious about bringing sustainability to the salon, the National Association of Eco-Friendly Salons & Spas (NAEFSS) can help. If you’re serious about bringing sustainability to the salon, the National Association of Eco-Friendly Salons & Spas (NAEFSS) can help. 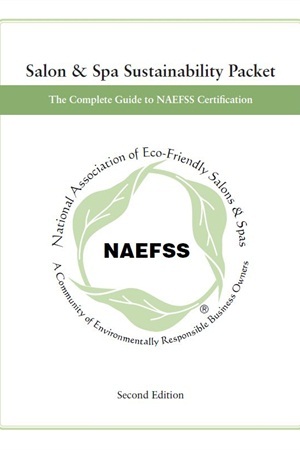 The NAEFSS Salon & Spa Sustainability Packet — the same packet used in its salon and spa certification program — can now be purchased on its own. It contains specific details to create a plan for impactful changes and includes 1-2 hours of free phone consultation. For more information, go to www.naefss.org.